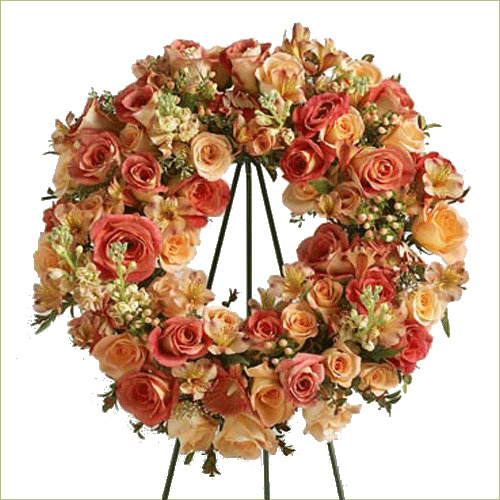 Convey the essence of eternal light in vivid, heavenly splendor, This wreath is a blushing display of grace and beauty to honor the life of the deceased at their final tribute. Standard wreath includes 55 stems. Deluxe wreath includes 75 stems. Premium wreath includes 95 stems.